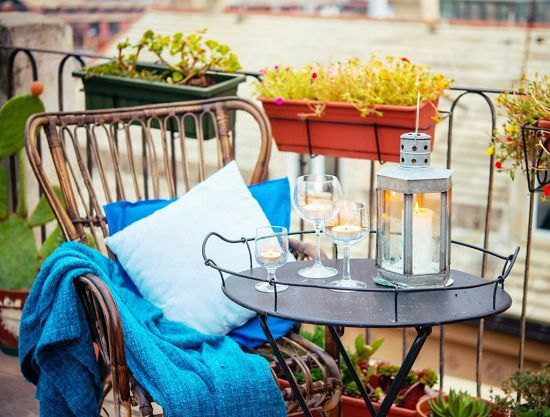 13 ideas to create an Incredible Romantic Balcony Garden in your urban home that fill your life with romance, love, and happiness. 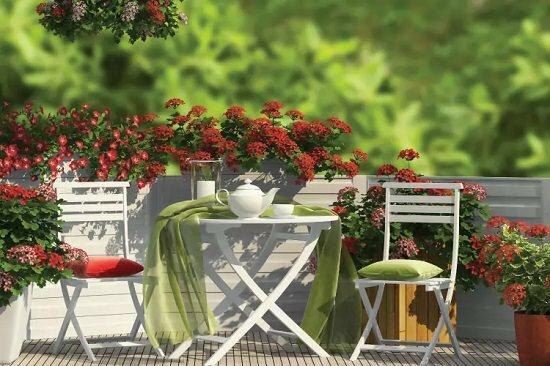 Red is the color of love, and growing red flowers in your romantic balcony garden is a must. 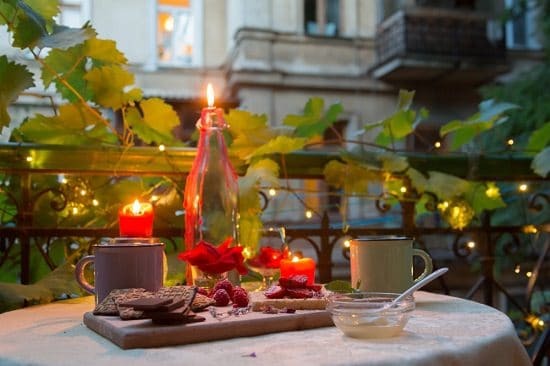 One of the most influential romantic balcony ideas–Light up a lot of candles. Give place to scented candles too, the best scents to spark a romantic mood are Jasmine, Ylang Ylang, Lavender, Orange, and Vanilla. 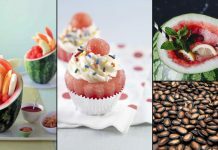 You can also make your own scented candles, the DIY is here. A Tip: You can also use essential oil diffusers to fill your balcony with the aroma of your favorite essential oil. 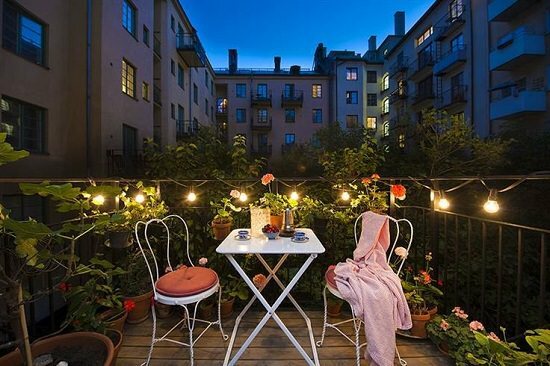 Make your balcony the most beautiful and relaxing place of your home, after the evening. Decorate with a lot of fairy lights! Also, make this willow heart by wrapping the lights around the willow wood. 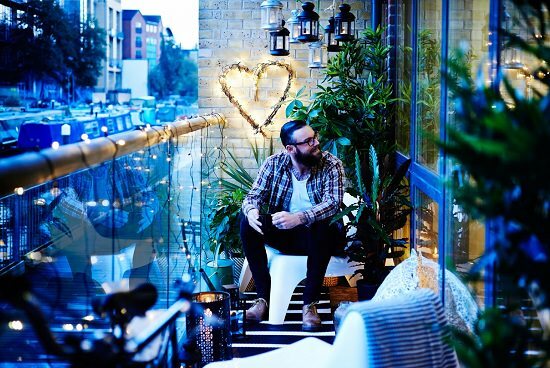 See more balcony lighting ideas here. 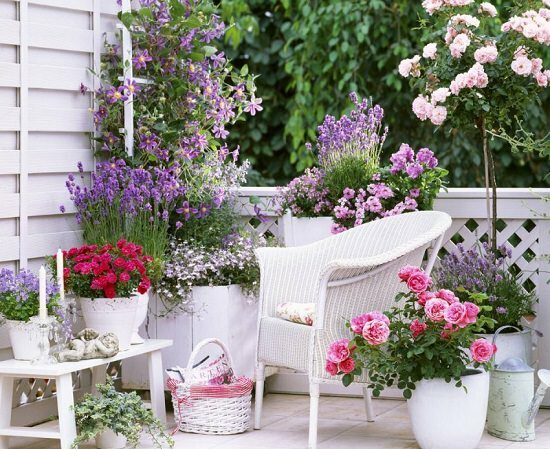 Without roses, you can’t create an ambiance of love on your balcony. 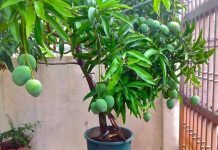 Give this most loving shrub a place, for help, check out this article. A Tip: Not just the roses, you can also grow other fragrant flowers like jasmine, here’s a big list of them. Drape string lights on your balcony railings, and decorate the table to create a restaurant-like appearance in your small balcony. 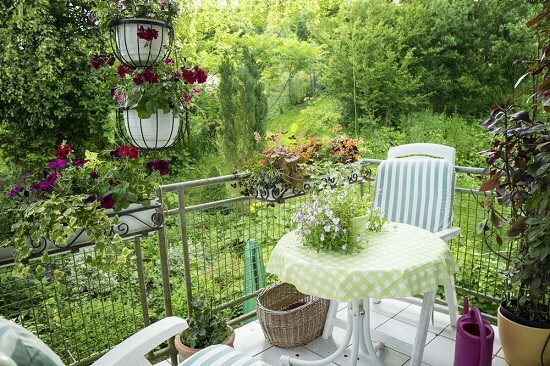 Grow your favorite flowers, like geraniums in this balcony. Save your excellent Be-With-You time from the prying eyes by setting up a privacy screen. 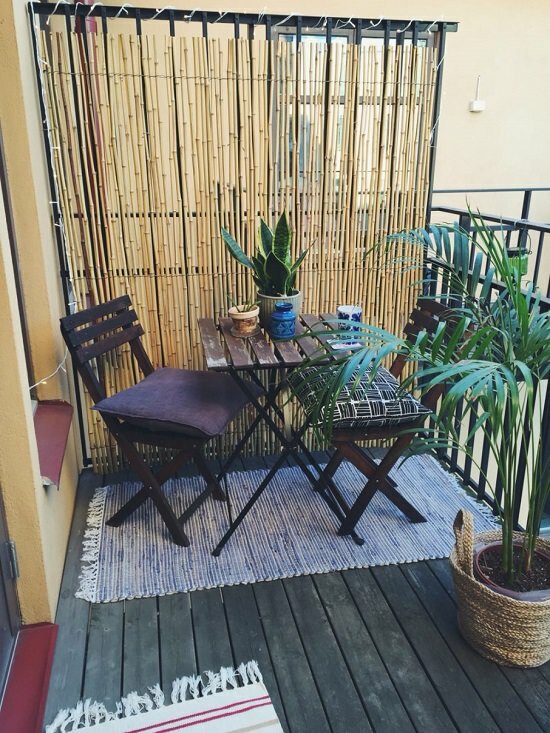 You can check out balcony privacy ideas here and here. If you’ve got the most scenic balcony, nothing could be better than enjoying the warm sunrises and a hot cup of coffee with your bae. 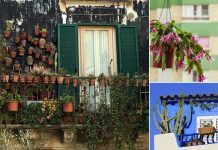 It’s an amazing idea to grow heart-shaped plants on a romantic balcony. We have a list here to help you find your favorite one. Use wine glasses as candle holders–A creative decoration like this sets up the mood. It’s a fresh idea, which is getting popular these days. 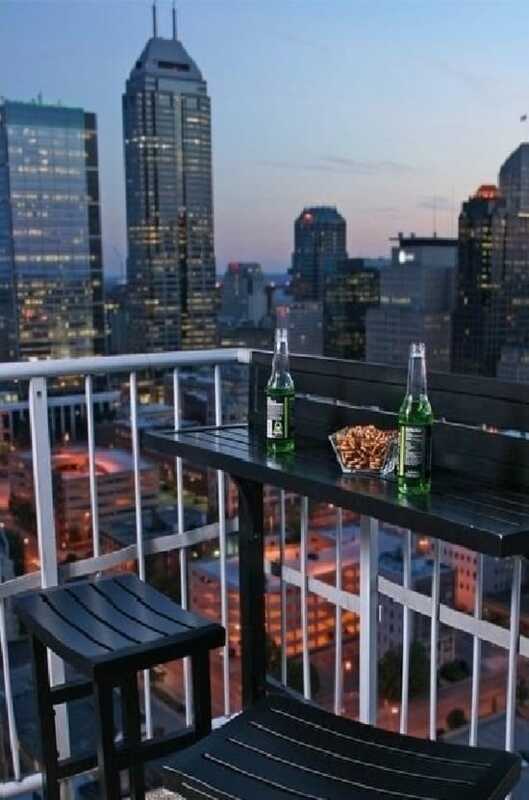 Add a bar top to your balcony railing and a couple of bar stools. One of its kind of DIY is here. 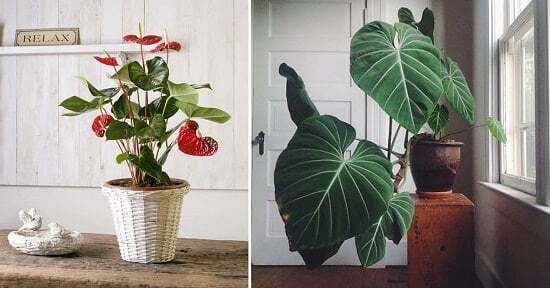 If your bae is a plant lover, create a perfect space like this where both of you can sit and relax and talk about life. Take inspiration from here. According to science, colors evoke feelings of happiness and positivity. 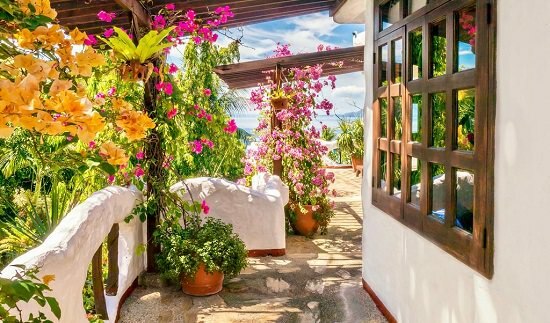 Certain colors like pink and red make you romantic so that they can be a great addition to your romantic balcony garden. Whether you add a few pink flowering plants or a cushion of red color, your choice. 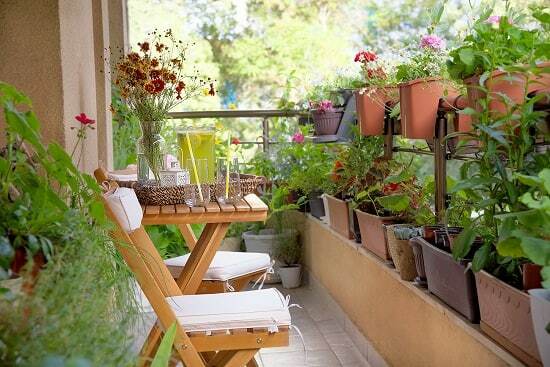 Nothing is better if your balcony or deck is covered with plants and trees. A calm and composed atmosphere often helps in setting the mood.